Holiday drinks are so fun to serve and drink. 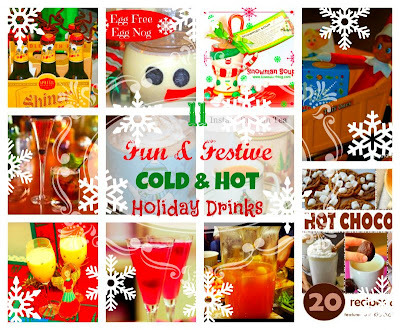 Do you prefer your holiday drinks hot or cold? Hot suites me best but I won't turn down a fun, cold festive drink! Cheers! 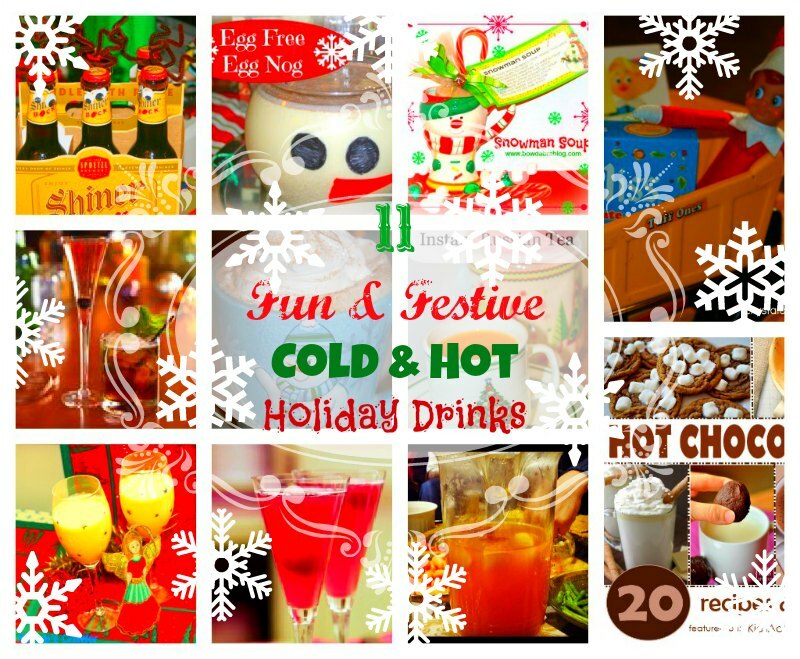 Here are some of my personal favorite drinks as well as drinks from some of my favorite blogs who linked up in my Holiday Hop of Goodies and added to my Christmas Crafts & Recipes Board on Pinterest. 2-Egg Free Egg Nog- the best! Bonus Creamy Hot Cocoa- the best! Thanks for including my Instant Russian Tea! Thank you for stopping in and sharing your yummy creation with our readers at Bowdabra's Crafty Showcase. We love seeing your projects each week. Stop in and see which blogs are featured on Friday and to link up more of your goodies on Sat-Thur.